Yay, we don’t have to move!!! Gene and I were walking back from the beaver pond this afternoon, after unsuccessfully stalking the swans with my camera. It’s really windy today, so they’re probably bedded down somewhere. As we got near the house, I noticed a leaf that was moving around the yard. It wasn’t blowing in the wind so much as it was drunkenly staggering around. When I went in for a closer look, I realized it was a HUGE beetle. It was over 2″ long! I’ve never backed up faster in my life. 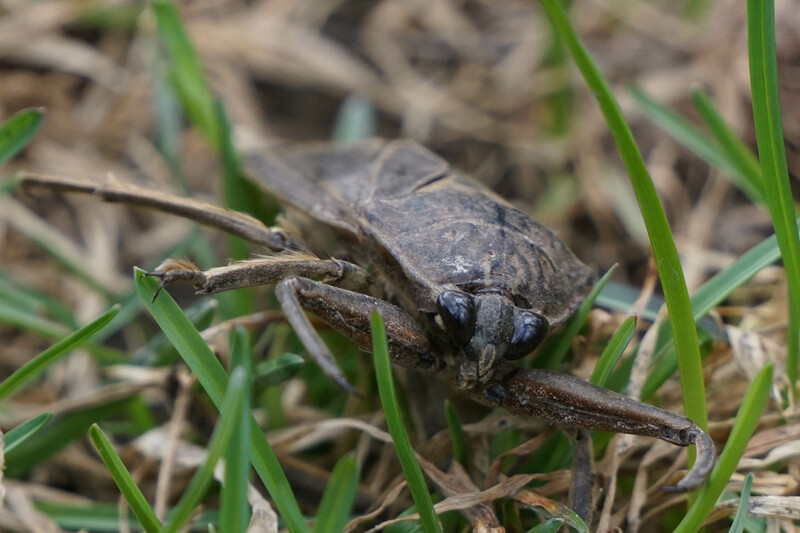 And despite it being Easter, I was fully prepared to call our Realtor and demand to know why the presence of a giant cockroach WITHIN TWO FEET OF MY HOUSE wasn’t disclosed prior to buying the property. Because file that under “dealbreaker,” you know? But Gene said before I started packing, I should look online and make sure that’s what it was. 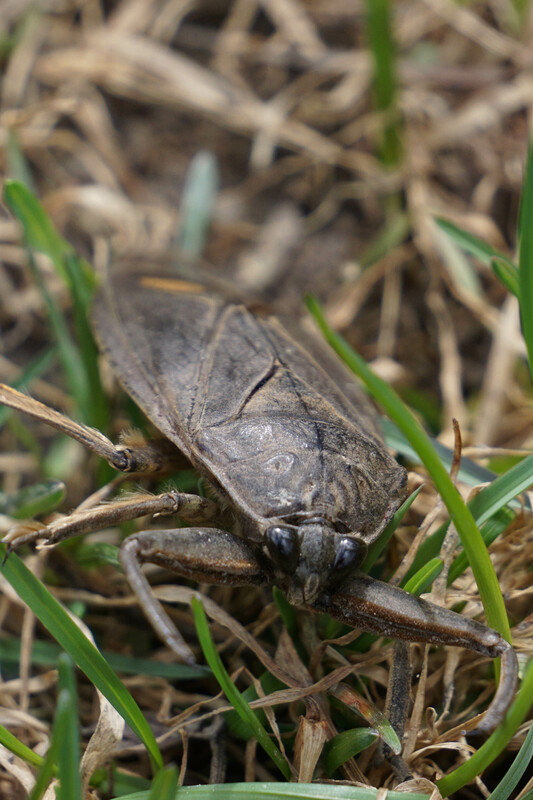 And, thank goodness, turns out it’s a Giant Water Bug! The largest bug in all of Minnesota. How cool is that? It eats tadpoles and small fish! That’s respectable. Apparently they’re attracted to light, so it had probably left the beaver pond to check out our porch light. Although I have to say, I’m somewhat glad I didn’t see it buzzing around the porch at night while I was here by myself. That would be way worse than zombies.